Grad Yearbook Cardboard Cutout Standup Prop - Dino Rentos Studios, INC. 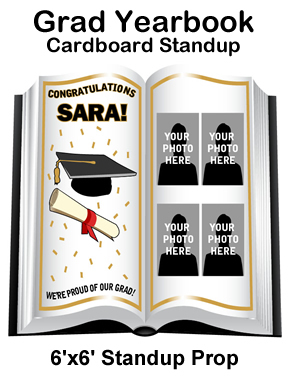 Celebrate your grad's accomplishments with this Grad Yearbook Cardboard Cutout Standup Prop! Standup prop measures 6ft x 6ft in size and comes ready for customization. 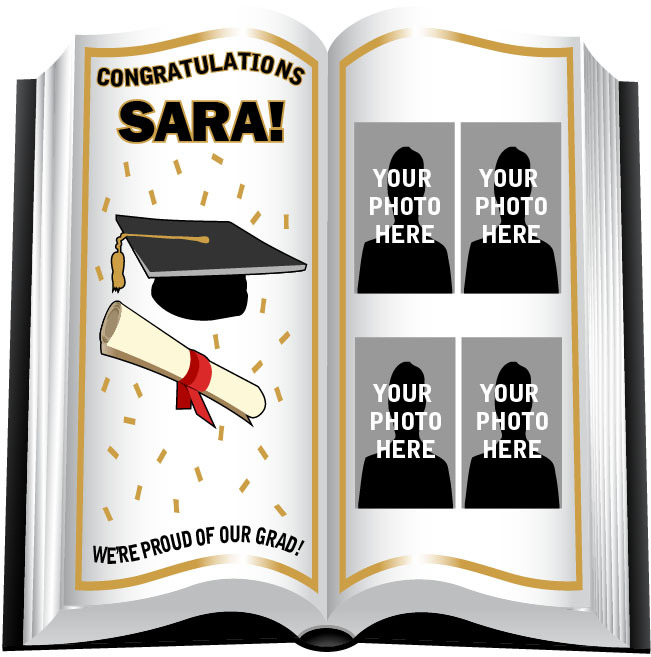 Include your grad's name on the left page under "CONGRATULATIONS" and select up to 4 images of your grad for the oversized right page of this Grad Yearbook Cardboard Cutout Standup Prop. Image requirements: Please send grad photos as high resolution .JPG files, .PSD files, .PDF files, or .TIF files. Contact customer service for sending instructions!